and a principal of Lisa Smith Studio, a New York based consultancy offering design services in the areas of furniture and housewares. We develop product lines from our own analysis of the marketplace as well as from a manufacturer’s design briefs. Our clients include Brayton, Bonacina, Donghia, Fasem, Gunlocke, Haworth, HON Industries, Levengers, Magppie, Nambé Mills, Nurture by Steelcase, Rosenthal, Steelcase Wood and many more. Smith has lectured on design for numerous educational and corporate sponsors. Smith holds several U.S. Patents, and her work has been exhibited at the Cooper Hewitt National Design Museum, Smithsonian Institute and the National Building Museum in Washington DC and published in numerous international magazines. Smith’s designs are sold in museum stores around the world including MOMA. in 1995 Smith traveled throughout India as a volunteer for the United Nations Development Program to advise on the development and marketing of composite materials made from jute for the US market. Smith is an active member of O²NY, an international network of designers who share information about environmentally sustainable materials for products and buildings. She is a member of the EcoDesign Section of the Industrial Designers Society of America where she served as Vice Chair from 2004-2008. 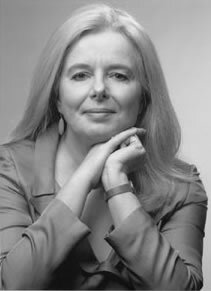 Smith served as Chair of the New York Chapter of the Industrial Designers Society of America from 1991-93 and Chair of the IDSA Furniture Section from 1994 - 2000. She is also a member of the Association of Women Industrial Designers (AWID). In 1997 the Municipal Art Society asked Smith (a native New Yorker) to help steer a program whose goal it is to connect the vast number of designers who reside in New York with the City's manufacturing community. Smith's personal goal with New York Connect was to bring a product to market that is designed and made in New York. She accomplished this when Nambé introduced a collection of stainless steel desktop products of Smith and Celentano's design that were made in New York and sold nationally. Smith says "Observation and research contribute importantly to developing a product idea. But equally important, and I believe often neglected, is employing the sensory intelligence in our eyes and hands." After the spark that generates an initial idea, Smith's design process naturally begins with a pencil sketch. Then, however, she is quick to move to three-dimensional sketch models. "I build an idea three-dimensionally so that I can analyze the form as I'm designing and developing it. In this way, I relate to the tradition of woman making handicrafts, only I'm creating products for mass production. "I think Industrial Design is such a natural place for a woman. When I was teaching, there were not many women entering the field. This has changed in the last few years, which is fortunate because women can make and have made important contributions to product and furniture design" states Smith, an alumnae and former professor in Pratt Institute's Industrial Design Department. Smith serves as Executive Chair of the Rowena Reed Kostellow Fund at Pratt Institute supporting design education. Ms. Reed was a Professor of the Form and Space Analysis Class in the Industrial Design Department at Pratt Institute for nearly 50 years. A book about Ms. Reed's career and design philosophy called Elements of Design, Rowena Reed Kostellow and The Structure of Visual Realtionships was published by the Fund early in 2002. The book has since been pulished in Japanese and Korean and upcoming editions will soon be available in Chinese and Spanish. The Rowena Reed Kostellow Fund was established at Pratt Institute in 1988 to celebrate and communicate the philosophy and expression of one of the most recognized design educators of the 20th century. Rowena was both teacher and student her entire career. She fostered a dialogue with her students that continued long after their formal education. The Fund’s mission is to continue that dialogue and introduce her ideas to designers not fortunate enough to have had her as their professor, or to have been exposed to her continued teachings in the Industrial Design program at Pratt Institute. Miss Reed believed that, for designers, beauty and the thoughtful manipulation of form are at the core of their role in the development of products, images or architectural form and space. The Rowena Fund continues Ms. Reed’s teachings through scholarships, publishing and programs. The Fund is governed by a board and an inclusive committee of supporters. Smith served on the Board of Directors of O2NYC from 1999 to 2010. O2 is an international network of architects and industrial, graphic, and fashion designers who share information about technologies and services which give us the tools to create products and buildings in harmony with the earth’s environment. Smith helped organize Assignment Green, an exhibition at the Municipal Art Society in New York City in May 2003, which displayed green designs from architecture, fashion, graphic and industrial design students from Pratt Institute, Parsons, FIT, Columbia and Fordham University. www.o2nyc.org. In the summer of 2011, Smith collaborated in Ethiopia with ETHOS (Engineers in Technical and Humanitarian Opportunities of Service) from the University of Dayton and The Burn Design Lab to facilitate research and development of her US Utility Patented metal foam mitads (griddles) which require much less precious bio-fuels than the currently used ceramic mitads. The metal foam mitads will be used on rocket stoves produced and sold throughout Africa by The Burn Design Lab of Vashon, Oregon.The Burn Design Lab was recently named Fortune Magazine’s “Cool Green Company of 2011”. Advanced computer aided design techniques utilizing Solidworks, Adobe Photoshop, and Z Corp 3D modeling. My designs are produced with state of the art effects for impressive presentation and efficient communication.